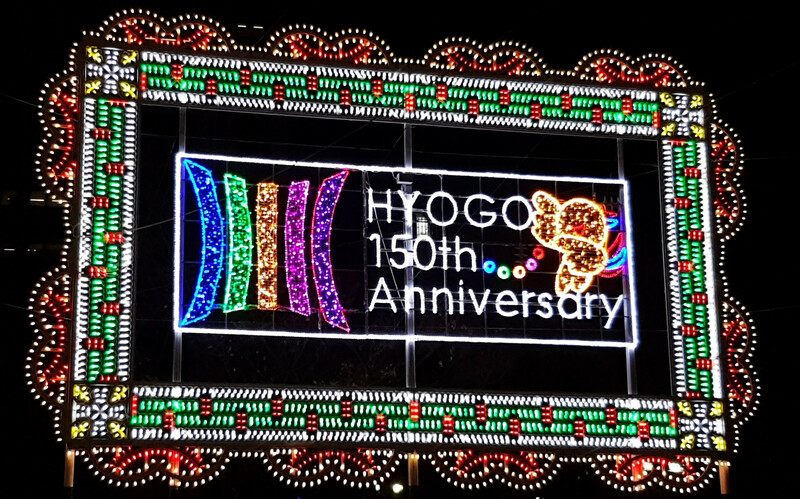 Kobe Luminarie is an annual light festival held in Kobe, Hyōgo Prefecture, every December since 1995. It commemorates the Great Hanshin earthquake of that year. This stunning, multicoloured display attracts millions of visitors to Kobe in December every year. It’s a must see in winter time in Japan. The festival runs for around two weeks every evening. It is viewed by about 3-5 million people each year. 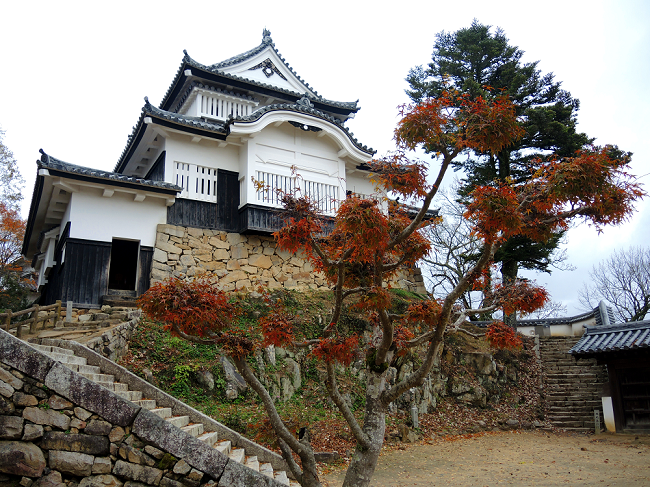 It has a personal connection for me as my wife’s family live near Kobe. My (then future) wife was living there at the time of the earthquake. I vividly remember seeing the news reports on TV. Worried about them, I telephoned to see if she and her family were OK. Thankfully, apart from some minor structural damage to their home, they were all fine. Many, many others were less fortunate. More than 6,400 people were killed as a result of the 1995 earthquake. 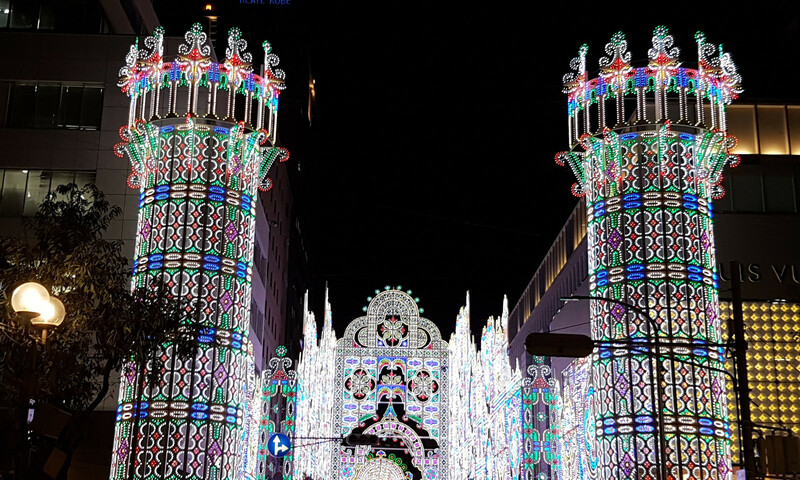 The Kobe Luminarie festival ensures they are not forgotten, helps raise money for charity, whilst providing an amazing spectacle that changes every year. Major streets in the area are closed to traffic during allowing pedestrians to fill the streets and enjoy the lights. 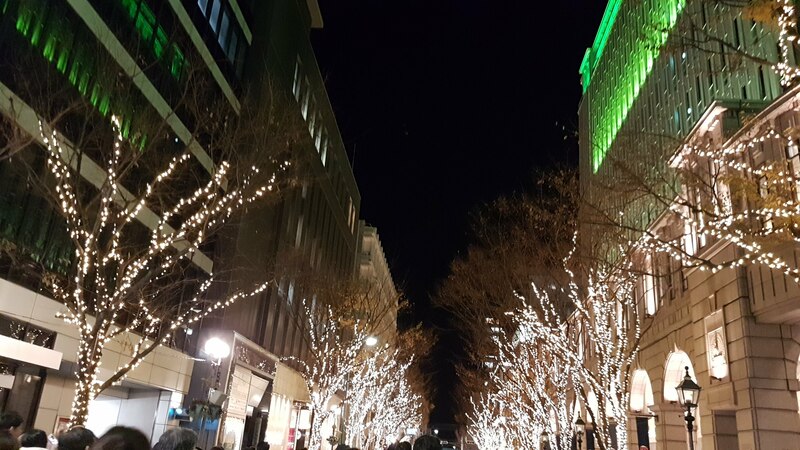 The route to the lights begins around the entrance to Motomachi shotengai (shopping arcade). The best station to get off at is Motomachi (JR and Hanshin lines). It’s just a couple of minutes walk south from the station to the start of the route. You’ll then weave your way back and forth for a couple of blocks. The streets approaching the display are lined with trees adorned with white lights. Public address systems play choral music along the way. All adding to the sense of anticipation and seasonal atmosphere. 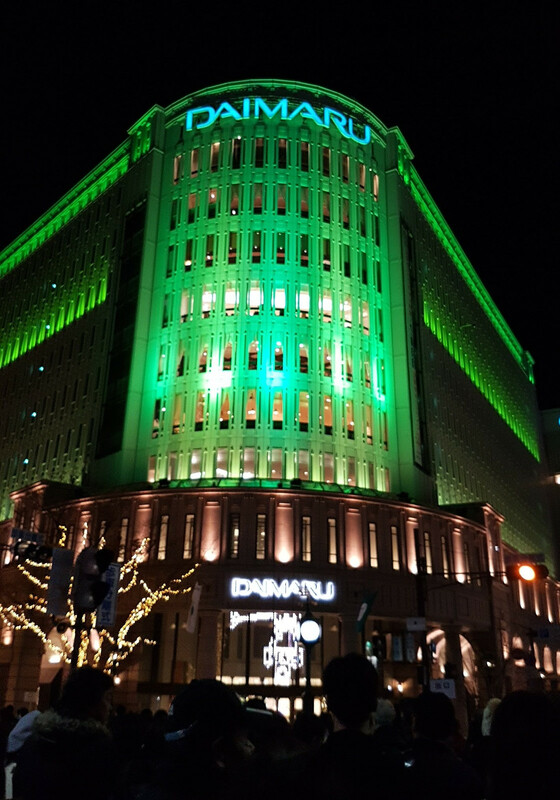 The walk will take you towards Kobe’s iconic Daimaru department store. At which point you turn left. Not far now. 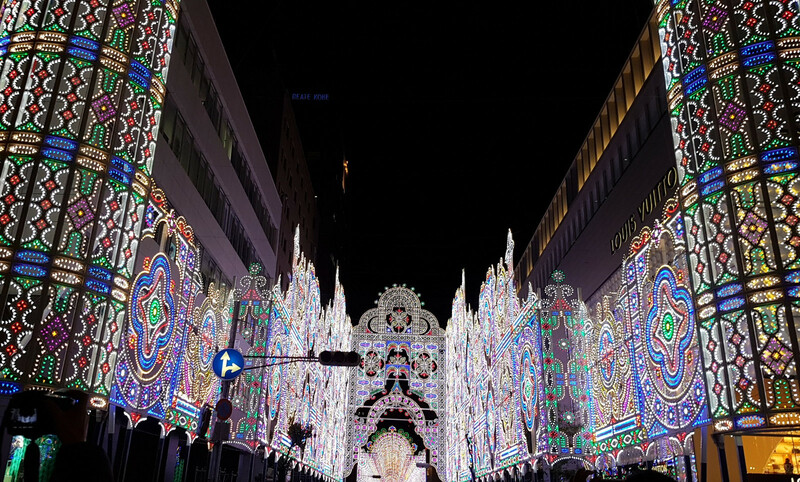 The Kobe Luminarie festival ensures those killed in the Great Hanshin earthquake of 1995 are not forgotten, helps raise money for charity, whilst providing an amazing spectacle that changes every year. Signs along the way provide an indication of how long you can expect to take before you get to the Luminarie. It’s best to go on a weekday as the weekends can get really busy. I’ve always gone on a week day and the entire pre-display walk has never taken more than 15 minutes. But they are fifteen minutes of pleasure anyhow. With Daimaru behind you, you’ll then turn left, heading east, and you’ll see the start of the Kobe Luminarie. There’s always an impressive entrance. 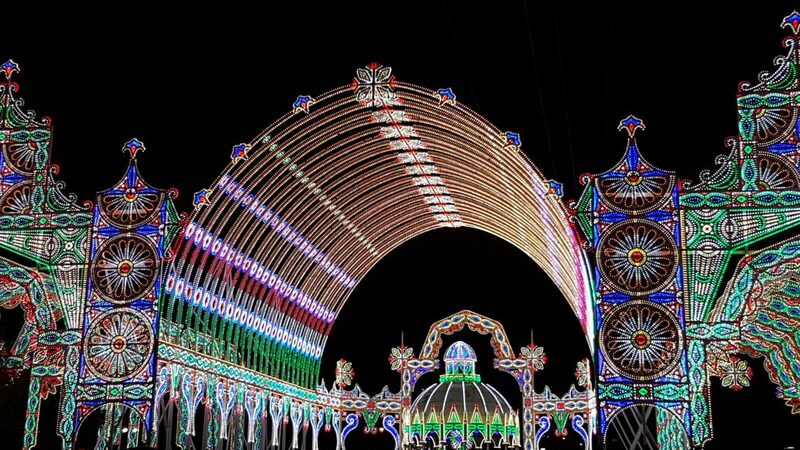 Gradually, as you shuffle your way forward along with the thousands of other visitors to the spectacle, the dark night skies are replaced by the bright lights of the festival. The lights are fixed onto intricate wire frameworks that line the streets. 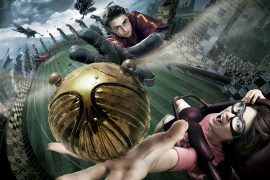 It creates the feeling that you’re entering a magical new and exotic world. The 1995 earthquake destroyed Kobe’s electricity supply, plunging the city into darkness. 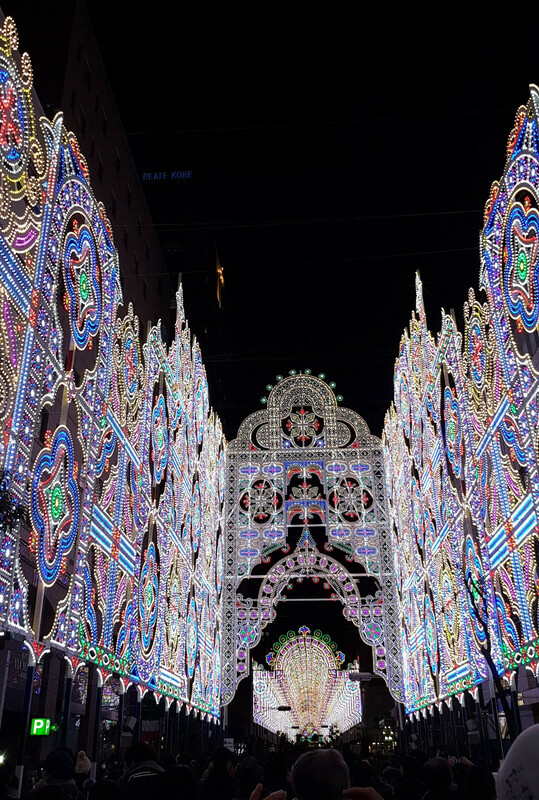 The first Luminarie was designed to literally light up the city once again, giving hope to the people of Kobe that their city would be restored. The sides of the light framework rise several storeys high, making it an all-enveloping experience. 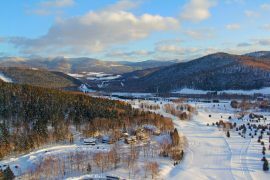 With the music playing along the way, the chill of the frosty night air, and street stalls selling commemorative stamps and food, it’s an unforgettable way to experience this extravaganza alongside the locals. The lights were donated by the Italian government and the first installation was produced by Italian designer Valerio Festi and Kobe native Hirokazu Imaoka. Your now in the thick of it. The walking pace slows as thousands of others pause and snap a shot of the dazzling displays on their phones and cameras. 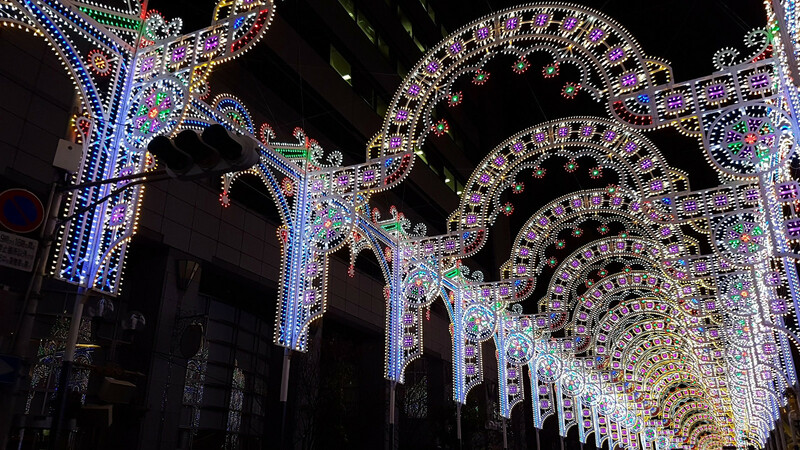 It’s at this point you’ll see the iconic tunnel of lights, running for several blocks up towards Higashi Yuenchi Park – where the festival culminates. 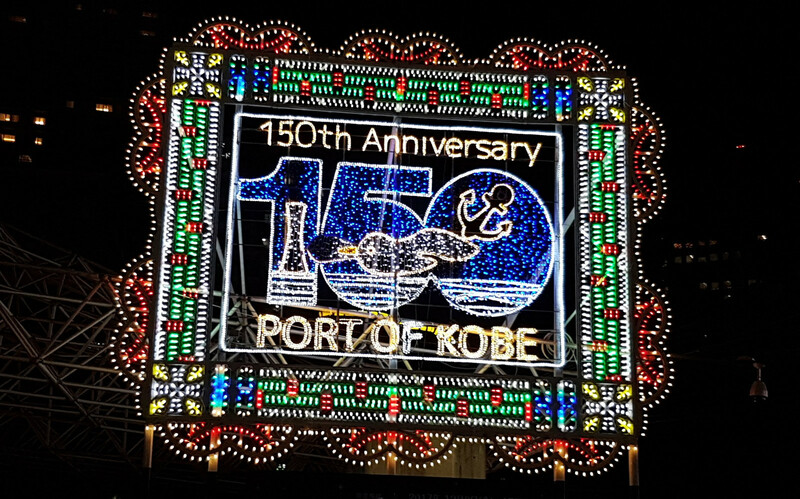 This year coincided with the commemoration of the 150th Anniversary of the opening of the port of Kobe. So, there was a special display incorporating Kobe’s icons like the Port Tower and the huge anchor illumination found on the side of the mountains overlooking the city. Turn right into Higashi Yuenchi Park – where everyone gathers for the huge finale. Like all the displays, it varies each year, but is always a fitting showstopper. Take your time to soak up the festivities. Young couples taking selfies on their smartphones. Families posing for offical commemorative photos. Children barely able to contain their excitement. And, of course, that final, vast and intricate creation. It’s always designed so that everyone can walk inside to take it in, in all its glory. Whether you simply bathe in the light, or marvel in the fact that all the hundreds of thousands of lights are handpainted each year, you’ll have memories to cherish. There are plenty of stalls selling food and drinks in the park. So it’s easy to hang out, wander around and generally saunter with everyone else enjoying the celebrations. It’s also a lot quieter as soon as you’re out of the main arena. So it’s nice just to relax for a short while, grab a seat on a bench and do some people watching. 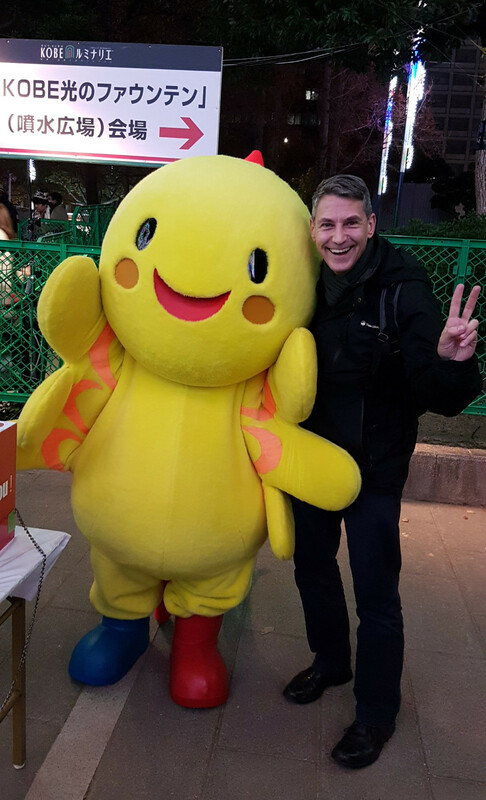 Look out, too, for Habatan – the offical mascot of Hyōgo Prefecture – a beakless, bright yellow phoenix, with odd-coloured shoes and red and blue tail feathers. He makes for a great photo opportunity for children. Once you’ve finish viewing the Kobe Luminarie, turn to head north out of the park, up Flower Road towards Sannomiya Station. Your destination? 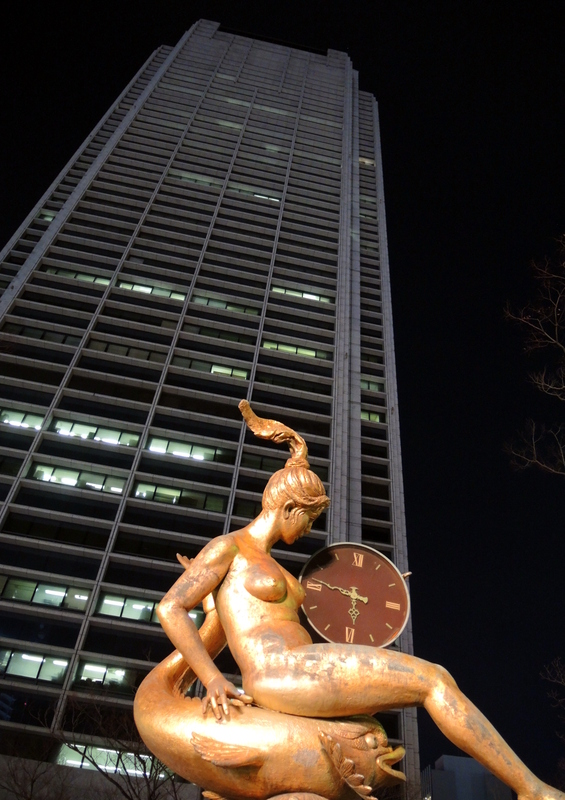 The landmark, 443 foot Kobe City Hall. Look out for Yuki Shintani’s golden-coloured statue ‘Marina’ – the titular female sitting on the back of a fish – at the northern edge fo the park. Directly behind her is Kobe City Hall. 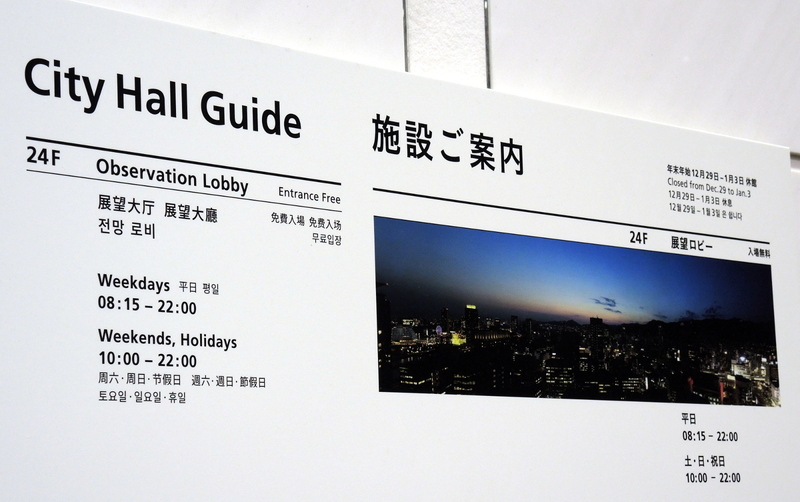 On the 24th floor is a free-to-access observation deck. It’s from up here that you get the true finalé to the Kobe Luminarie every year – by taking in the views of the route and Higashi Yuenchi Park far below. Beyond the park, and overlooking its famour harbour, laid out in sparkling and moving lights is Kobe city. 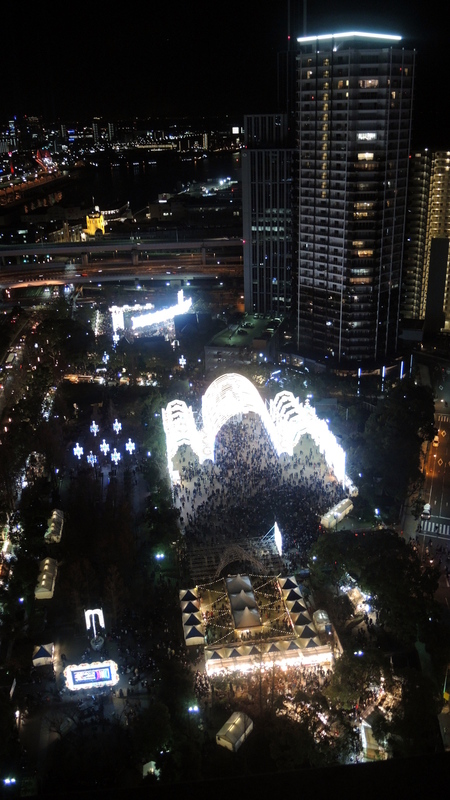 Might you add the Kobe Luminarie to your itinerary – let me know by leaving a comment below. Wow. 3-5 million people? That’s astounding. I had no idea this is where that massive earthquake occurred. Thanks for the informative share and appreciate the tweet too. Thanks Ryan – yeah it’s a HUGE event – the biggest of its kind in Japan. That area of Kobe always has a great vibe about it during the festival. Well worth a visit if you get the chance.